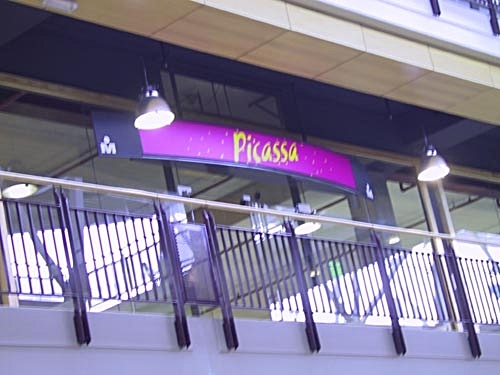 Picassa was a huge exhibition space I could use from 2000 till 2003 as a gallery of 2500 square meters. As many as 30 artists a month showed their work in the gallery and a lot of great musicians played at the various vernissages of the exhibitions and performances. I created a ritual, involving high priestesses. Life questions were painted on the back of the performers, to which the public could give an answer. Theme of the performance : The Holy and the Whore. As a remark of the way woman were treated through the ages; she was either good or bad, without any nuances. Smallest gallery in the Netherlands ; Delft. The gallery is transformed into a laboratory. (Not Genetically) Modified toys, drained of their life source to create plants with a face. Trying to escape the laboratory! The Toy has a deformed face and body, a mix of two animals , which arose through manipulation. 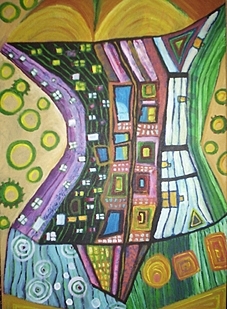 The painter-architect with a free spirit. The public wants recognizable work, so he has to conform to his style. 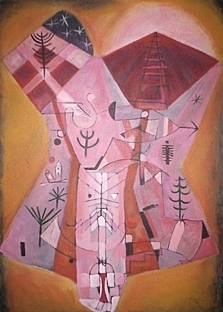 Conformation is like a frame for the mind, like a corset. 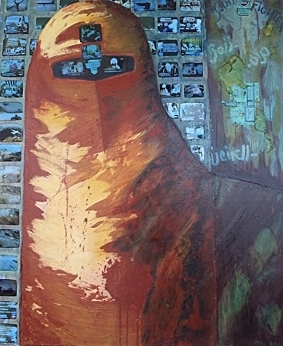 Painting of a eastern incognito 'terrorist' with a collage of pictures taken during the bombing of Afghanistan . Mr.Bush; collage of pictures taken during the destruction of the Twin Towers. He appears complementary to the 'terrorist', but their minds think alike.